Once again, the end of another year is upon us. And as all DJ Diamond Dog followers know, that means the annual "end of the year" mixtape. This year is the 6th installment of the Quick Hitzzz series... Quick Hitzzz 2012. As in the past, this year's edition features some of the most successful artists through the year, both mainstream and indie. The biggest impact this year was probably made by Nicki Minaj with multiple hits from Pound the Alarm to Starships. Lil Wayne, as always, continues to be featured on many tracks, continuing his relevance in the industry. Flo-Rida, also, has continued to please with his urban Dance sound on songs like I Cry and Whistle. Ke$ha also made a late run in the year with her smash hit Die Young. Quick Hitzzz 2012 will continue to please with a non stop mix of these and many other big tracks from the year. 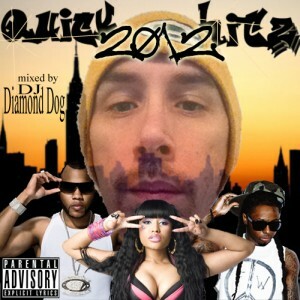 Downloads are all free at djdiamonddog.com, so be sure to sample Quick Hitzzz 2012 and download the ipod or cd version. Thanks for your support of djdiamonddog.com. God Bless & have a great Christmas & New Year!! English singer & songwriter Labrinth goes hard with his 2012 hit Earthquake, from his debut album Electronic Earth. Well, the rabid remix goes even harder, taking the original song & beat & adding 2 underground artists to it... Kia Shine and Sean White. 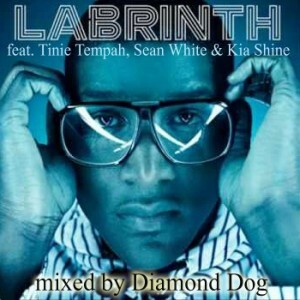 This remix retains the groundshaking original beat & melody as well as the original featured verse by Tinie Tempah. This elecronica sounding hip hop is the future, so expect to hear more & more beats with this futuristic sound to them. Thanks for your support of djdiamonddog.com. Coming soon... QUICK HITZZZ 2012! !